It was about a year ago when I spotted Lone Survivor on a book rack. I saw a golden SEAL Trident gleaming from the cover and that drew my attention. It didn’t take very long to finish the book as it was absolutely enthralling. It detailed the journey of Marcus Luttrell, the author, from civilian to SEAL sniper, the ill-fated Operation Red Wings and Luttrell’s evasion of Taliban fighters before he was rescued by members of the 75th Ranger Regiment. It discusses the heroic sacrifice of the members of his four-man team, inserted onto a mountain top on a mission to take down Ahmed Shah, an extremely dangerous Taliban leader. By the end of the book, I was truly awed. Hearing last year that a movie was in development and would be released in early 2014, I immediately put it at the top of my to-watch list. “Well, when it comes out go see it ASAP”. Wise words from my best friend, Andrew, immediately after he returned from an advanced screening of the movie. Today, I finally had my chance to watch it after weeks of prodding from him. Goodness was he right. 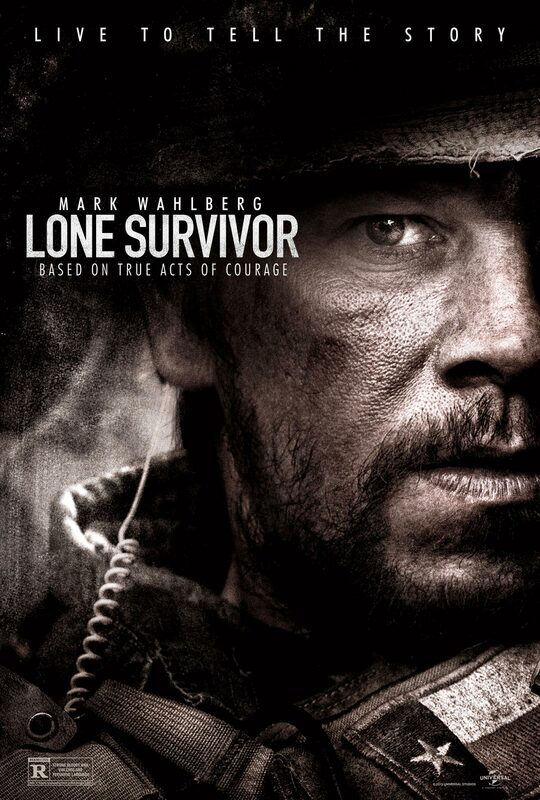 Of all the war movies I’ve seen thus far, Lone Survivor ranked among the top five. The movie doesn’t waste any time into getting to the Operation itself. Right off the bat, you can tell that realism was a goal of the director- one that was achieved brilliantly. From the SEALs fast-roping down from Night Stalker-flown Black Hawk helos to radio chatter, the military element of the movie was done quite well. With an emphasis on personal relationships, both between the team members, the larger unit Murphy, Axelson, Dietz and Luttrell were a part of, and family/spousal relationships of the members of Murphy’s team, the movie gives the viewer a deeper human feel for the men of the recon team. The viewer gets to witness bone-chilling and heartbreaking scenes and moments of levity shared between the SEALs prior to embarking on that fateful mission. There’s also a glimpse of the amazing compassion demonstrated by the villagers who sheltered Luttrell as he attempted to evade the Taliban hunting him down. Lone Survivor does indeed take a few liberties in terms of details of events, modifying certain parts slightly. You’ll notice a few differences if you read the book prior to watching it on the big screen. I would, without a doubt, have to say that it’s a definite must-see. Go see it, ASAP.